Points of interest (POI) are special locations that can be add to tracksw application. 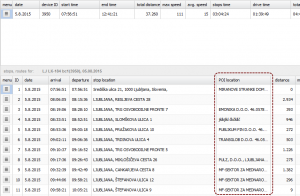 Example usage of POI is saving locations your devices often visit. Points can be shown on the map when browsing history, and can be also seen in reports. If you would like to see saved POI when browsing history, you just have to check "POI" (1) when browsing history. If you have more than one layer, you can select shown POI layer by clicking button "details" (2) and selecting tab "POI". 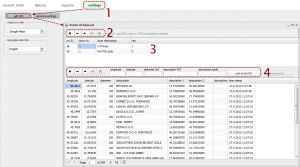 Here, you can select POI layer. When browsing reports, there's a column "POI location" that shows saved POI location, if the device has been near one. Note: For POI to be shown in reports, POI layer's "rep" should be set to 1! (see adding POI points below). Newly added points will present in all future reports! 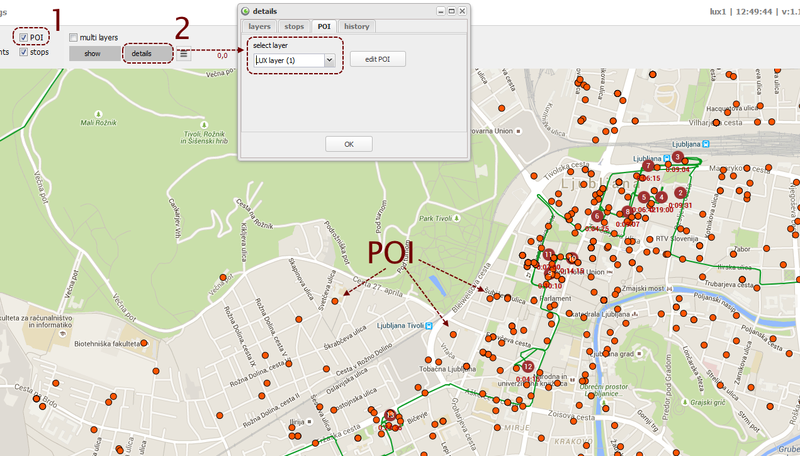 write down POI name (can be partial) (2) and click "show locations". Go to settings and click button "edit POI". In new window, click on plus () button in upper button group to add a layer. 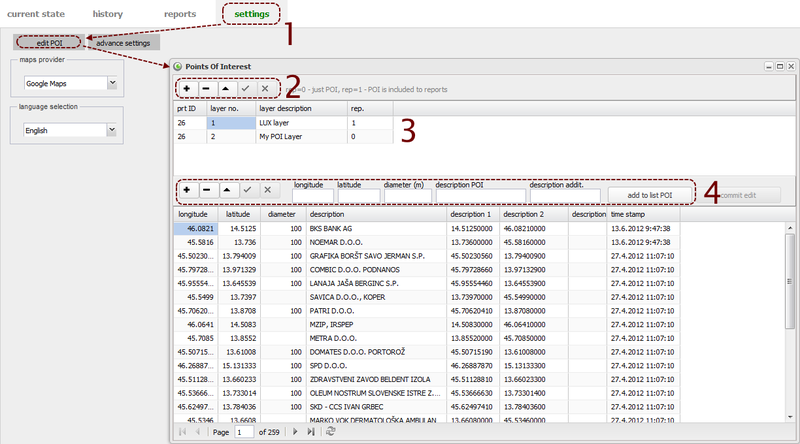 Write down layer number, layer description and REP (1 - show POI in reports, 0 - do not show POI in reports). When you successfully added a layer, you can start adding points. You can write down longitude and latitude directly (4), however there's an easier way to add POI points, see below. Edit POI window will show up, just like before, however longitude and latitude of location are already filled in. You just have to add diameter (the distance of how far can the device be to still count that it was on point) and point description. Click "add to POI list".